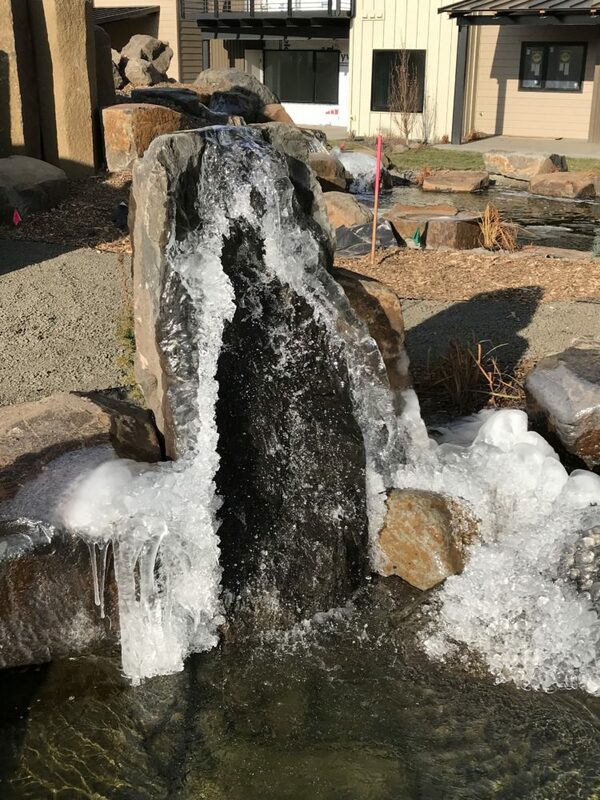 The latest news and photos of Bella Terra are posted regularly on our Facebook page, To insure you see new information when it is posted on Facebook, "Like" our page, then click on the box to the right of the "Liked" box that is labeled "Following." Put a check next to "See first" under "In Your News Feed" and put a check next to "On" under "Notifications." Winter and sunset bring a quiet beauty to the garden. Work continues during the cold winter months, as foundations were poured before the ground froze. 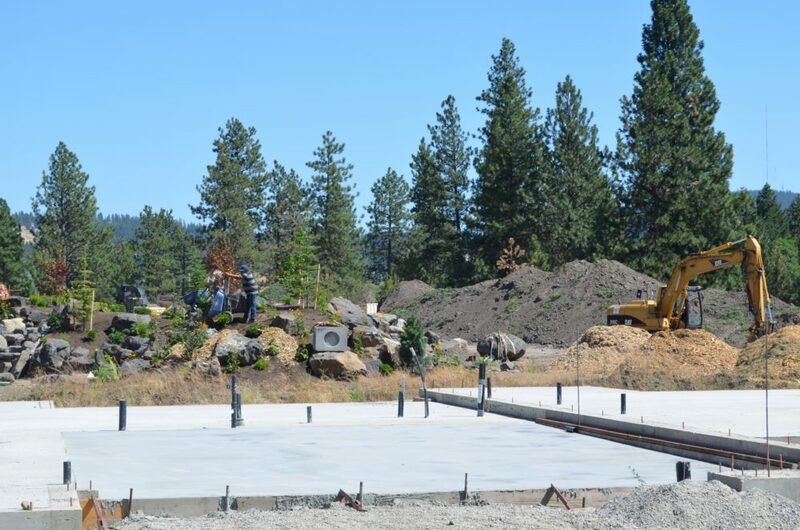 Walls are going up on several groupings of townhomes opening onto our 60,000 square foot central garden. Presales of these units provide the best selection of lot locations and floorplan options. For instance, one townhome under construction is a 3-story Emerson, with an elevator, that has been extensively customized for the buyer. 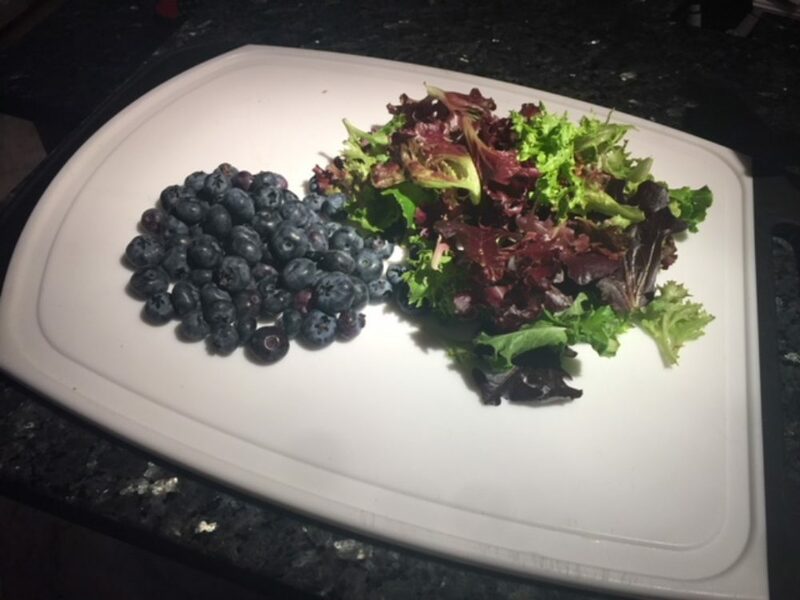 Bella Terra is unique in the amount of customization (within certain parameters, of course) that is available to buyers who choose the presale option. 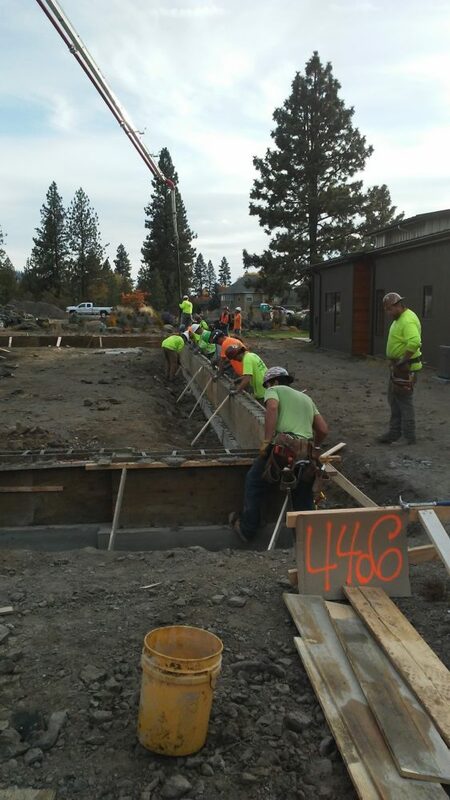 Crews worked to get foundations poured before the ground freezes. Presales are underway for these units, one of which has already been sold. Now that the central garden has had a year to mature, the plants are filling in and each season brings new beauty. 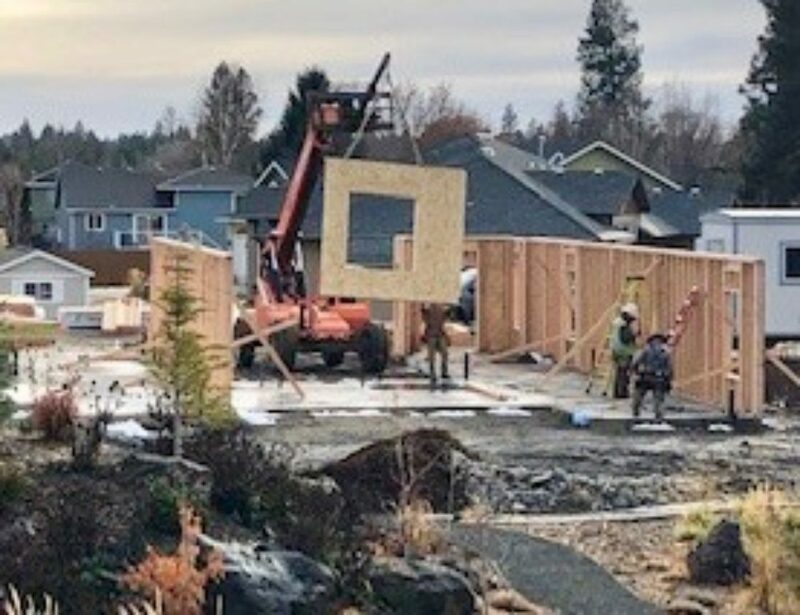 Construction of a group of 2-story Emerson townhomes on the west end of the Central Garden is well underway and those not yet sold are available for presale. 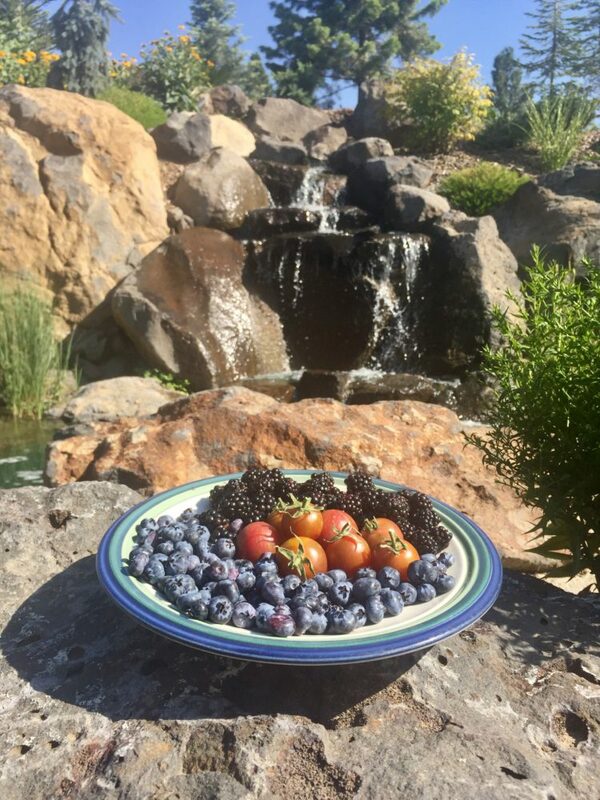 Bella Terra residents love to share their photos capturing the beauty of the garden. 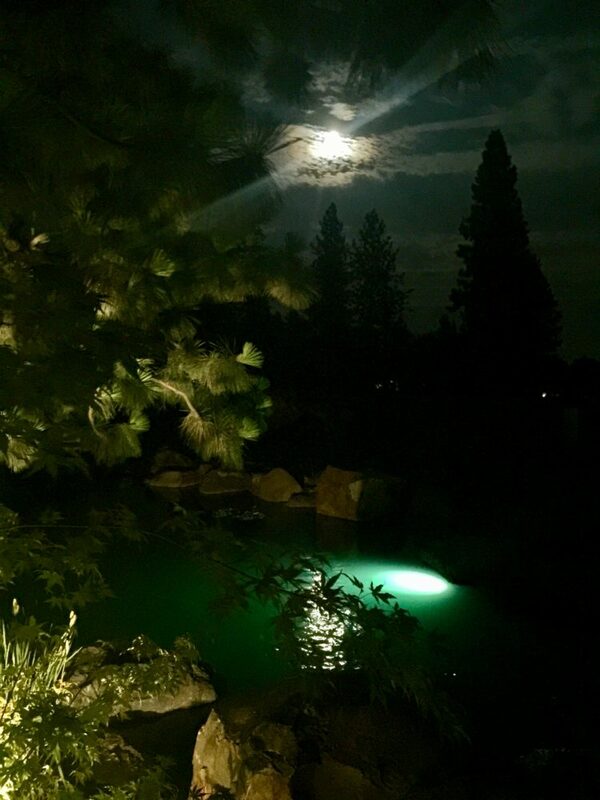 Here’s two recent photos -- the garden at moonrise and the moon’s reflection in a pond. Only one townhome from the first group is still available, but more townhomes are under construction, as seen in this photo. 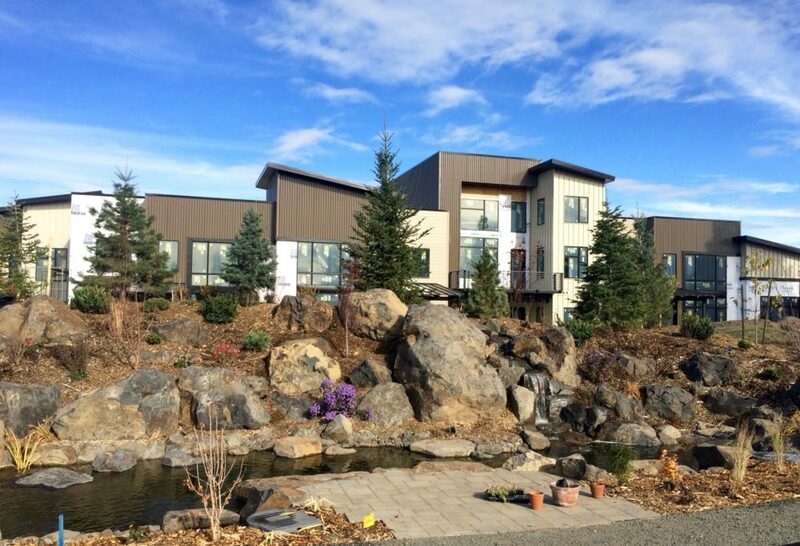 Presales of these townhomes allow the owners to customize aspects of the design and interiors. 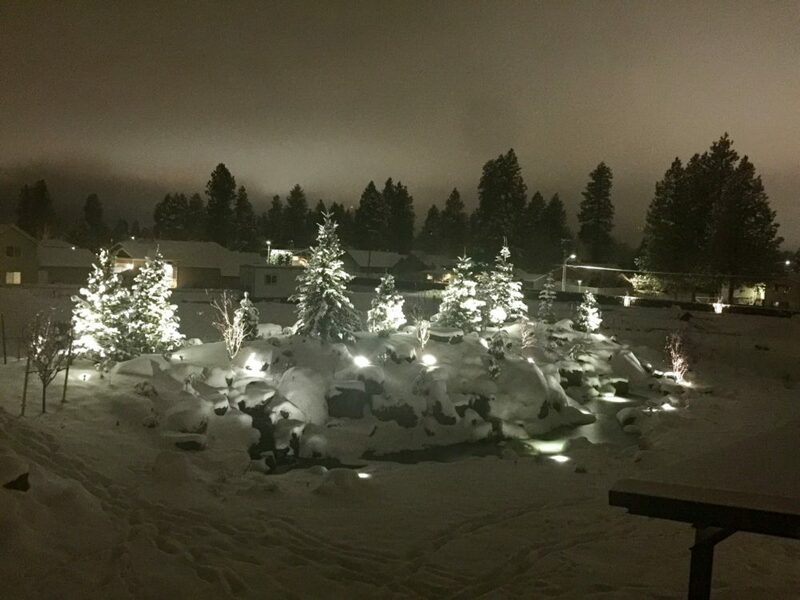 Owners of our largest 3-story Emerson townhome experienced a pleasant surprise when they received their utility bill. Here's what they said. "Our first January-February monthly gas and electric bill was only $165 for 3,800 square feet of space! 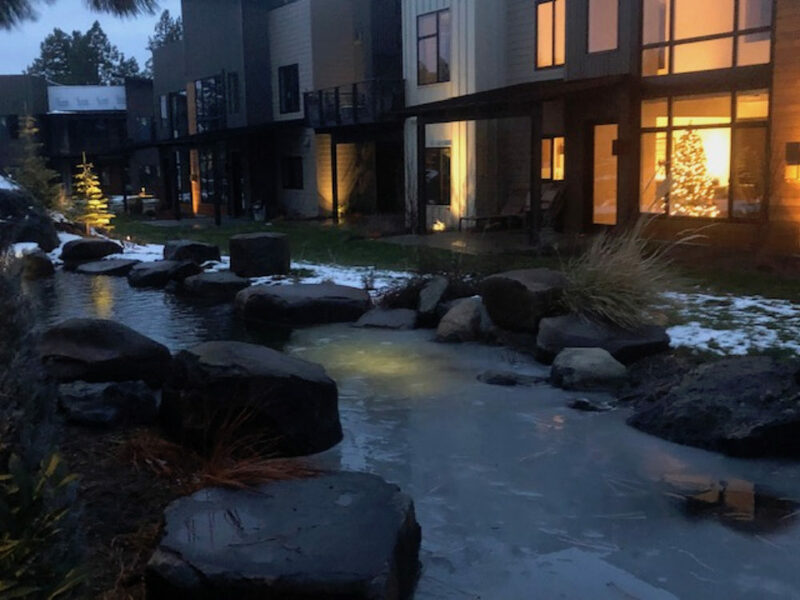 While only one month, it's encouragingly less than the deep winter monthly energy costs of our previous much smaller homes back East and downtown Seattle; not a bad return for an investment in large sunny windows and clearly state-of-art insulation." 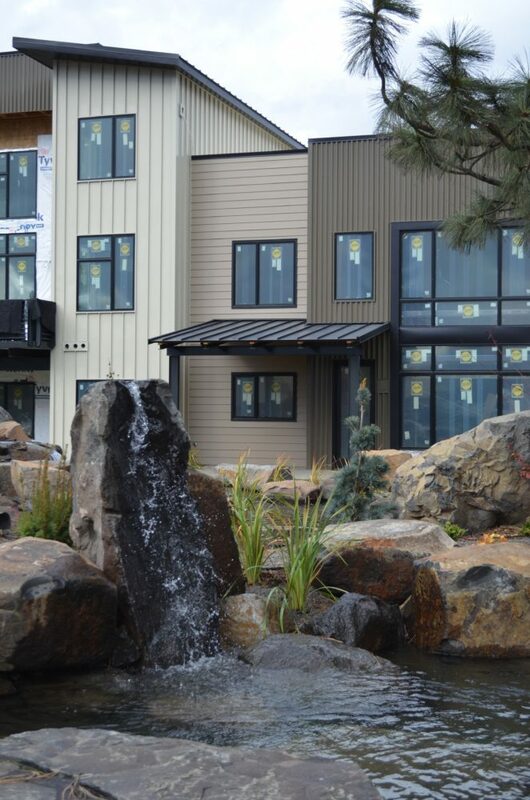 The cedar siding adds a finishing touch to the exterior of these Bella Terra townhomes and it compliments the beautiful metal siding. You’ll notice that the metal siding appears to be a rich brown on the left, then gets lighter the further to the right you look -- appearing almost silver on the far right. It's all the same siding, but the perceived color changes in reaction to the angle and intensity of the light hitting it. 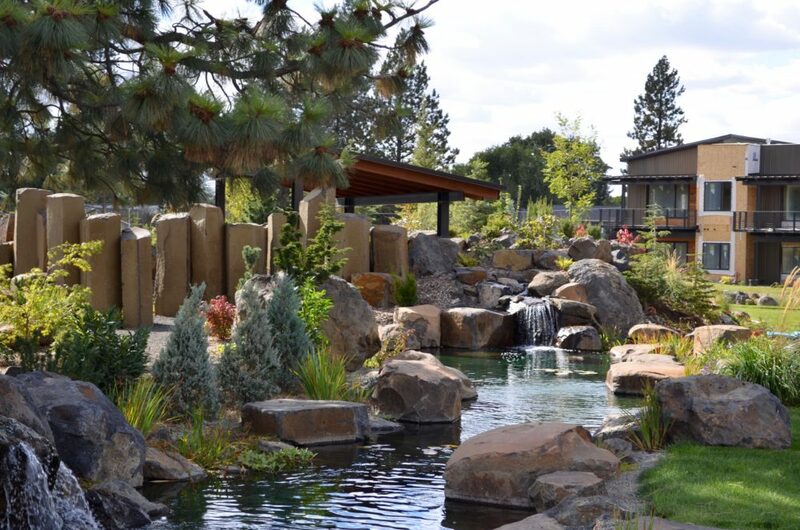 This ever-changing appearance make the metal a dynamic part of the Bella Terra landscape, like the water and the plants, and further integrates the townhomes into the garden setting and natural beauty of our 15-acre, secluded community on Spokane's South Hill. 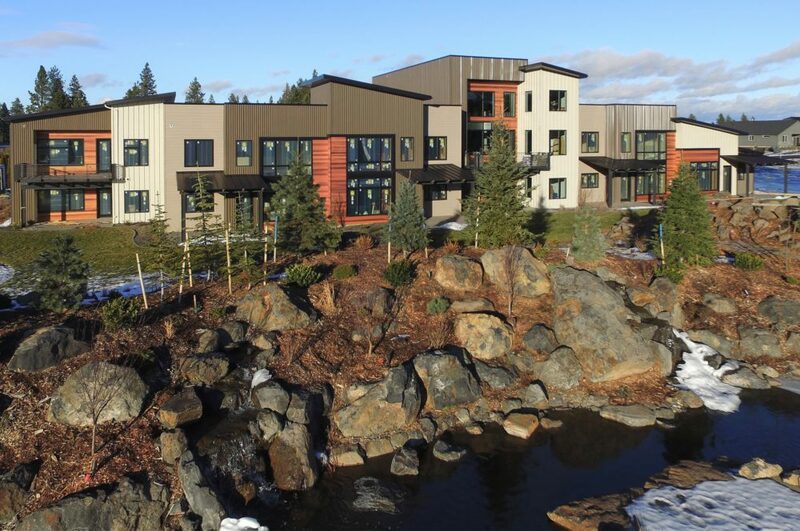 Bella Terra’s first residents have moved into their new townhome. 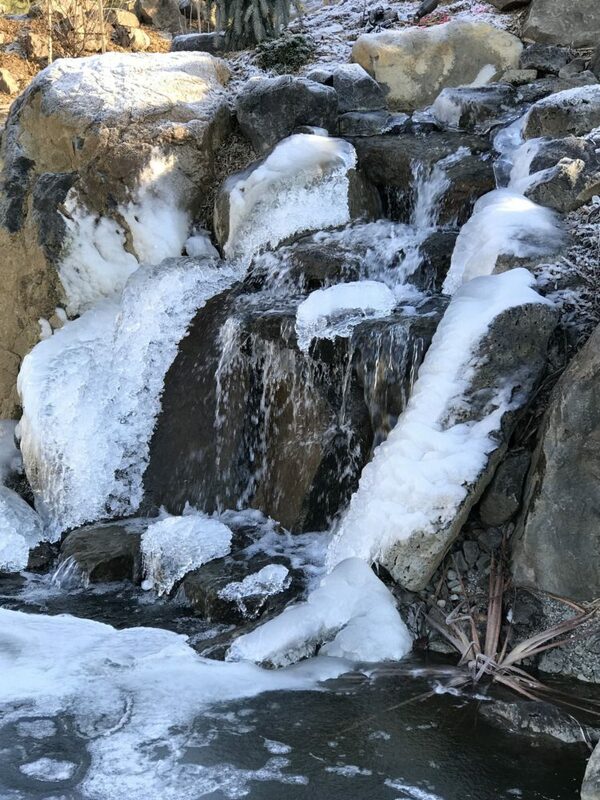 These photos showcase the garden’s winter beauty, including an evening view from their terrace, highlighting the sculptural beauty when trees and rocks are covered with snow. 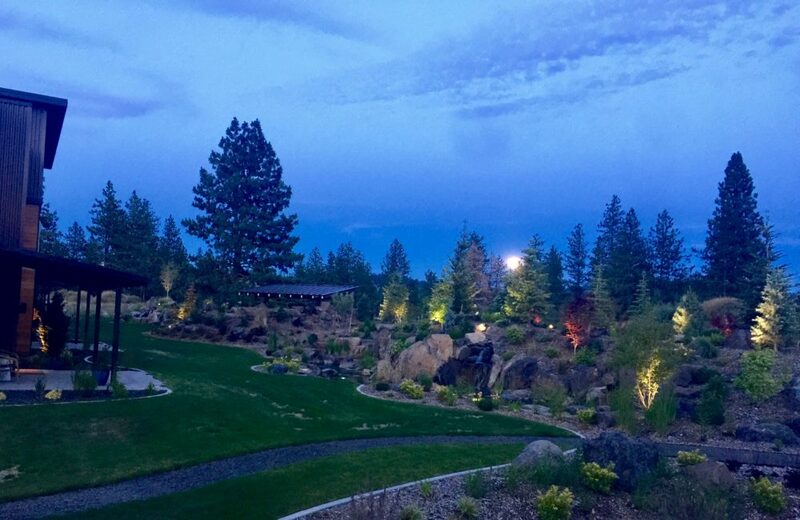 The lighting changes colors and intensity with the seasons and as each evening progresses. 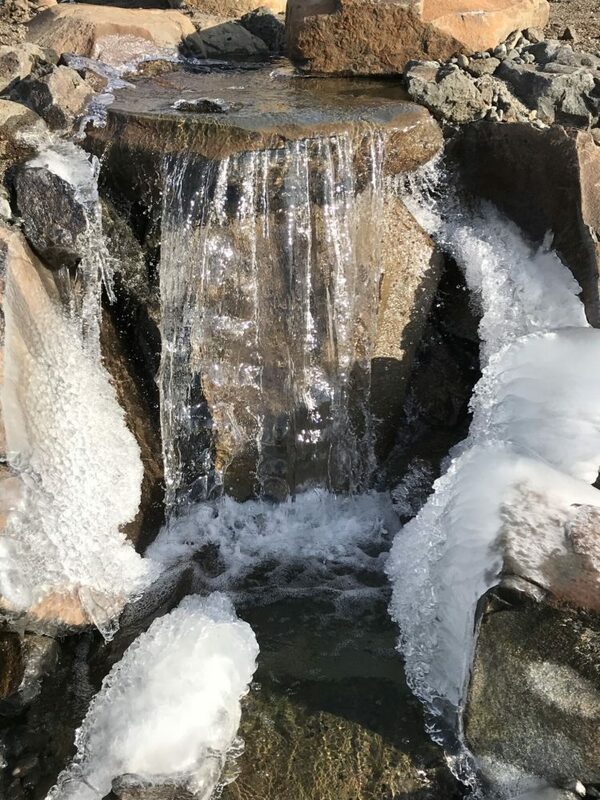 The water continues to run in the waterfalls and streams year-round, and the ice that builds up around the falls changes daily. 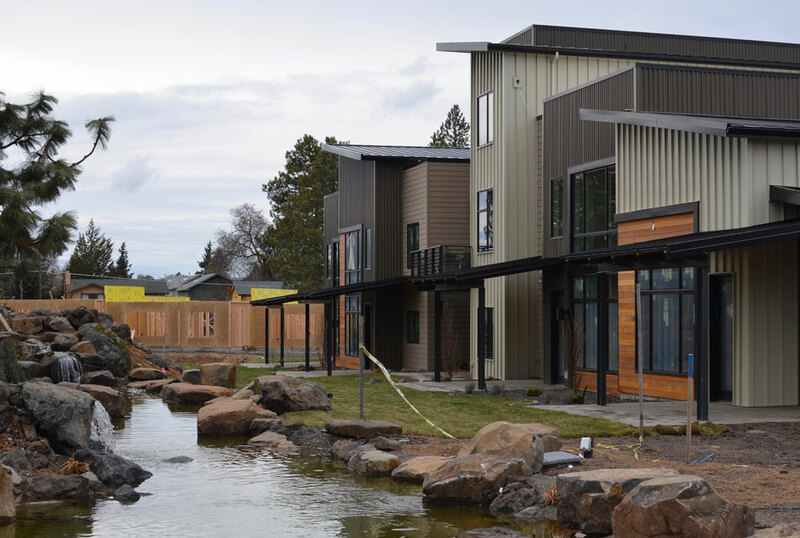 The high quality metal siding is up and natural cedar siding will soon cover the white areas -- adding warmth to the townhome exteriors and completing the urban contemporary look that blends so well with the garden setting. The Pella wood windows showcase views of the garden, ponds and waterfalls. The foreground shows the edges of a walking path that circles the Central Garden, part of a network of more than a mile of walking paths and private roads throughout the 15-acre site. 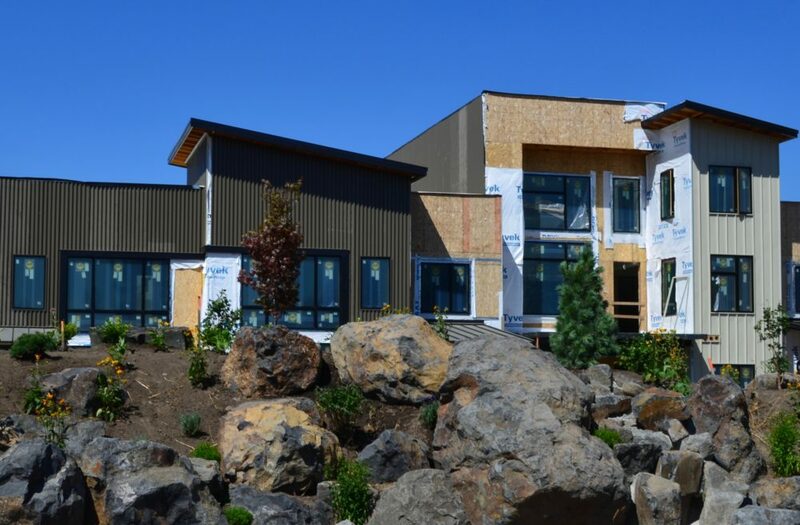 Bella Terra’s garden setting is beginning to emerge and the first six townhomes are nearing completion. This shows two of seven major ponds, and we think it looks beautiful even without the plants, bushes and trees that are yet to be planted. 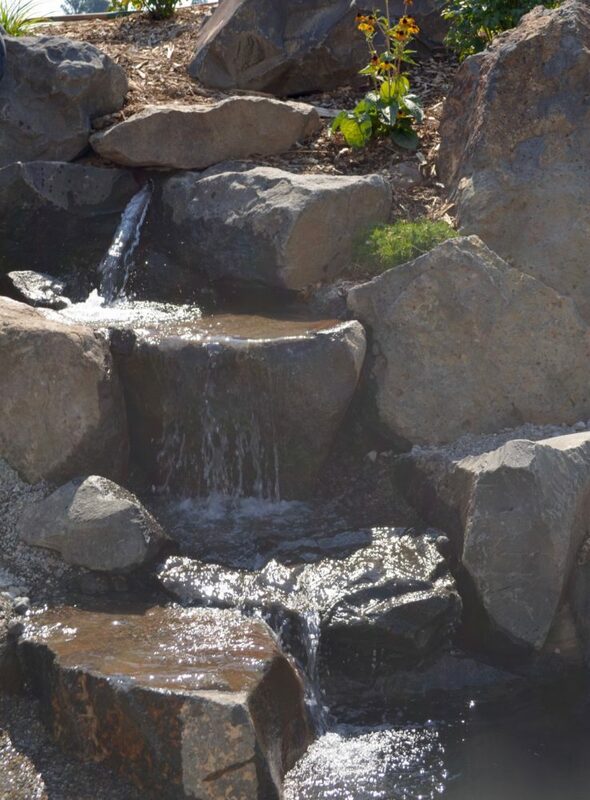 All 36 townhomes in Bella Terra Phase 1 will look out on this gorgeous setting and will have a direct sightline of a unique waterfall. We are excited to share the beauty that is coming to life at Bella Terra and welcome calls for tours of the townhomes and grounds. 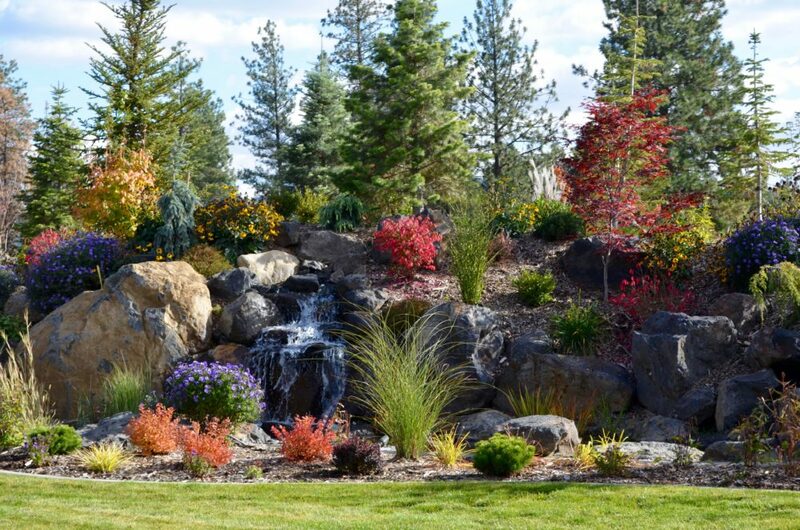 Contact Roger at 509-879-5340. 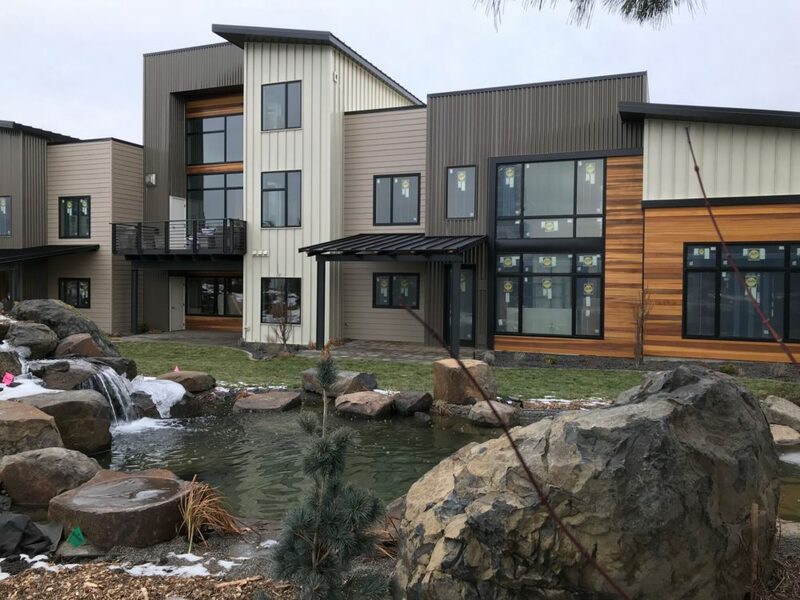 It’s been a busy year at Bella Terra as we near completion of the first section of the Central Garden and the first group of townhomes, which includes model homes of the Emerson and Walden for prospective buyers to tour. 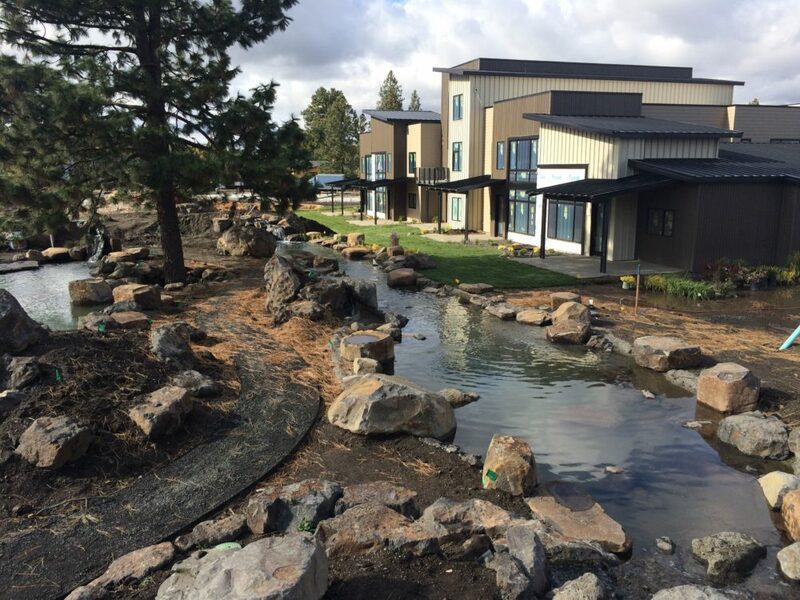 In addition, foundations have been poured for the next group of townhomes and work has begun on the ponds in the next section of the Central Garden. Foundations for townhomes to be built in spring 2018. 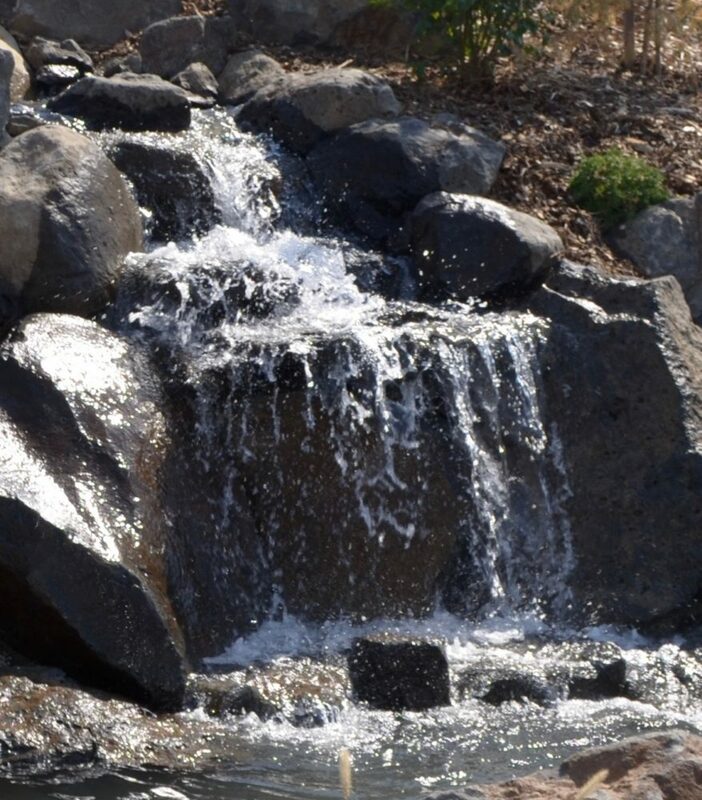 The first set of seven waterfalls started flowing at the end of August 2017. 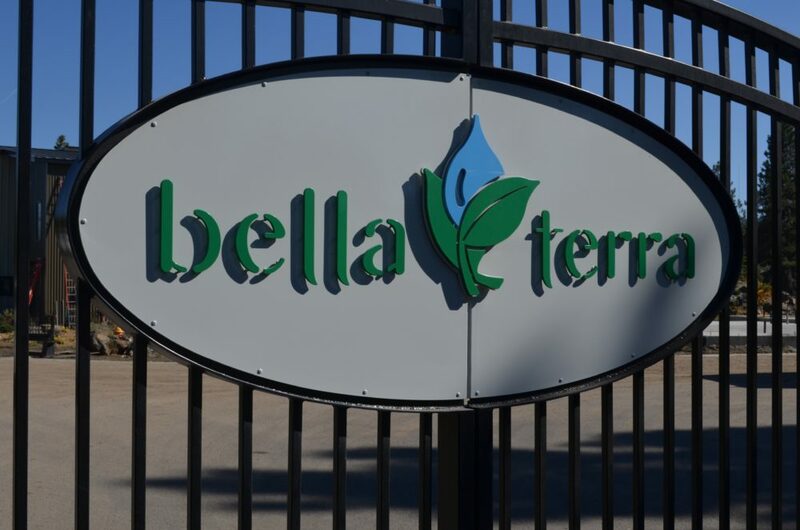 Bella Terra offers the security of a gated community, equipped with an access control system. Townhomes are prewired to allow a monitored security system, if desired. The siding is high quality, commercial grade metal in an understated color pallet of classic colors to integrate into the garden setting.